I am delighted to offer the first guest post contributed in response to my call this past week for contributions to the blog by black women and other women of color. The author, who wishes to remain anonymous, is a doctoral candidate whose research and activism is rooted in questions of social citizenship, personhood, and public space. In between her dissertation and job market application, she paints, crochets, and harbors dreams of being a full-time advocate for immigrant rights and a freelance writer. If you’d like to submit a post or an idea for a post for consideration, email me at gettenure@gmail.com. I pay $150 for accepted posts. The posts can be anonymous or not, as you prefer. I welcome content on #MakeupMonday (the initial impetus for this as a Twitter follower expressed a wish for #MakeupMonday posts oriented toward women of color) as well as anything related to the academic and post-academic career. In the weeks following Trump’s inauguration, I witnessed police brutality for the first time. We were at a protest and I watched from five feet away, held back by the police with the rest of the crowd, as an officer repeatedly punched a trans woman who was on the ground. I screamed at him. I ran after him, trying to shame him. Trying to find his shame as some kind of trust broke irreparably inside me. And in the weeks that followed the inauguration, small debates erupted at my university about what it would mean to become a sanctuary campus. The demands ranged from pro bono legal advice for those affected by the Muslim Ban to a commitment by the university to not cooperate with ICE. One of my favorite professors, heartbreakingly, argued that she empathized, but still believed that failure to cooperate with the government was illegal. How can one respond to that? How could I respond when I was reeling with the image of how the law is enforced? How could I respond if she was writing a letter of recommendation for me that semester? Queer scholars and scholars of color will know that this is not about the new presidential administration. There has always been a use for the apolitical white voice. The rise of the alt-right, the intensified mistrust of the university, and the targeting of educators through sites such as Turning Point’s Professor Watchlist have only created new moments in which we must employ it, particularly as graduate students and junior faculty. And yet, like Cash, Lakeith Stanfield’s character in Sorry to Bother You, we find that the white voice is never done with us. A professor who signed in favor of making our institution a sanctuary campus, a woman of color who has worked for decades to advocate for the interests of women on our campus, told me that bravery does not come with tenure. People always say that they are going to stand up for something as soon as they get tenure, she said. 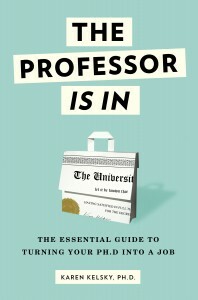 But if they are going along with things when they are an assistant professor, they will be an associate professor who goes along with things and a department chair who goes along with things. Bravery does not come with tenure. I am going on the job market this fall, and I am trying to be both brave and strategic. An impossible tightrope, particularly when data shows that the manufactured “free speech” campus crisis has led to the targeting of leftists. The white voice is a form of emotional labor, and so is the struggle of deciding when to stop using it. My white colleague, a close friend, agreed with me, and began to cry through her heartfelt argument. Our professor took her aside and hugged her, telling her that she loved how passionate she was. But when it came to me, no white voice was ever going to make her love my passion, or my dispassion. My passionlessness, my passivity and objectivity, were betrayed by my color and my solidarity with marginalized people, and so, to her, my white voice was still threatening. So, you are going to be who you have always been. And yet, here is the continuation of my white voice: I am requesting that this be published anonymously. But here is my commitment to the struggle: I still wrote it. I recently had an experience that made me feel the same way–a non-Native acquaintance asked me to look over a popular essay about a Native issue-basically fact check. I know details about the issue as well as Native folks working on this issue–that the writer did not. So I mentioned some of the problems with the essay as written and a Native scholar/researcher to cite, including links to their work. I saw the finished piece after it was accepted for publication and it was a trainwreck. Using racist terms to describe racial make-up (ironically?) for instance. I told the author I did not like it and why. My frame of reference is Native and female and I will call people out when they attempt to other me while “performing” as an ally. Thanks for having the courage to write this. A great, and necessary, analysis. I have recently graduated, but have been battling with when to use my white voice and when to be honest for a long time – it’s just that now instead of struggling not to unduly irritate professors with power over me, I am now struggling with search committees with power over me, and the ramifications of past honesty in previous departments. My mother, who is HR, is terrified when I do not use my white voice. She believes, rightly, that it comes with a risk of being labeled, getting on a watchlist of some kind, reducing opportunities, increasing chances of violence against my person, and other negative consequences. In this fear, she is willing to sacrifice my autonomy, my voice, increase my bottled-up stress and silent suffering, and continue to endorse a status-quo that I disagree with heartily by engaging in only passive or silent disagreement. I am still working to reconcile all of these elements. She isn’t wrong. But my area of expertise is violence, and the white voice is how we endorse things until they become so intolerable that we have in the end endorsed atrocity, and I am unhappy to be a part of such a system. It is not all negative. I have seen and been a distant part of the increasing movement in the academic workplace towards honesty, de-stigmatization, and a dissatisfaction with white voice and a move towards personal voice. For example, my department was honest and open with mental health issues for both professors and graduate students, and actively worked with faculty and students having mental health difficulties in a very positive and healthy way that produced a much better work life balance. This openness was very novel to me compared with past departments, where I had to use white voice to navigate out of a very mentally unhealthy professor-student relationship. So, progress does exist. The question is, when in a white voice environment, am I willing to risk being a voice of honesty and reason? There have been times I have risked it. There have been times I have not. Either choice comes with negative consequences. But the only choice that leaves me with a clear conscience? Is when I choose not to use white voice.